It only takes a few seconds in our memo library to get a taste of the limitless options in interior design. This is why hiring a designer if often critical to narrow things down. 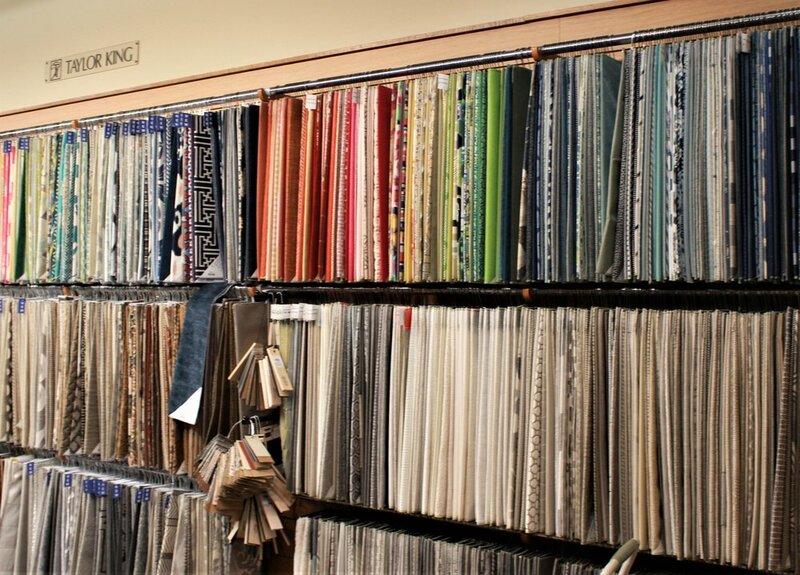 You’ll find endless swatches of fabrics, flooring samples, drapery samples and everything in between. Most are arranged by brand, and then arranged by color within the brands. We carry a wide range of brands to cater to every budget and taste. For a designer, there’s nothing more rewarding than searching through countless racks and piles of every color and pattern imaginable. It often takes a whole team, but the light bulb moment of finding the perfect one is worth it all. If you can’t find what you need in our library, you can typically provide your own material to cover whatever piece of furniture you want to cover. This is referred to as customer’s own material, or COM. 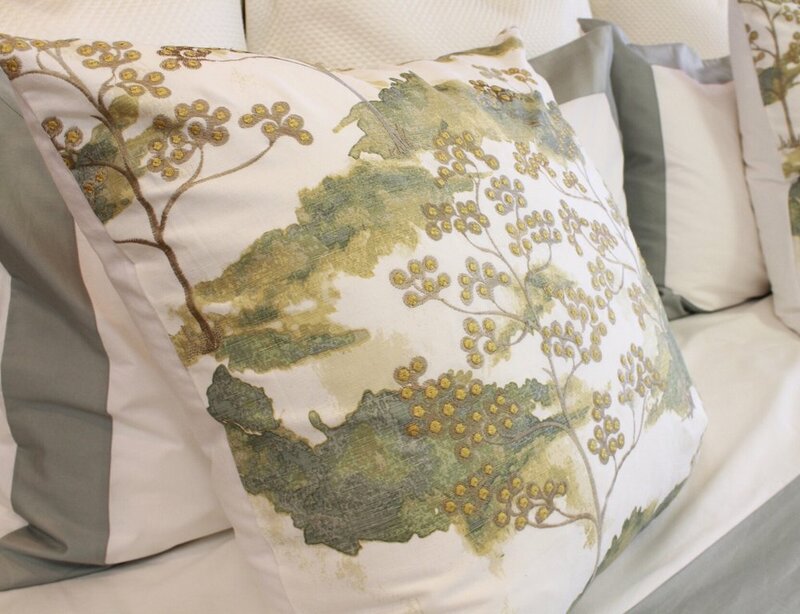 Some of our many brands are John-Richard, Thibaut, Kravet, RM COCO and Duralee. There are countless others. The sky’s the limit when it comes to custom options. For endless inspiration, come take a look around our memo library. If you can dream it, we can design it. The kitchen. The gathering place for guests before dinner. The hub of kids running off for soccer practice and dads leaving for work. The hangout of teenagers after school. The room where countless holiday memories are made. Everyone entering a home is bound to wind up in the kitchen at some point. That’s why good kitchen design is so important. These simple kitchen design principles will make sure your kitchen is ready for the spotlight. Before you do anything else, make sure the kitchen layout is finalized. Most kitchens are planned around the central activity areas. The three primary activity areas are the sink, cooking range and refrigerator. Traffic flow and cabinet layouts are designed around these, so this is a crucial step in the kitchen design process. The next thing you’ll want to do is choose your counter tops. It’s easier to match flooring and cabinets to counter tops than the other way around. Counter tops can be very diverse, while flooring and cabinets are typically more neutral. While there are exceptions, you’ll typically want to use neutrals for more expensive kitchen components like appliances, cabinetry or counter tops. Doing this will allow you to change your theme without replacing those expensive items. With a neutral foundation that will last through the times, accents are your chance to get creative. Smaller appliances and décor are a great way to show off your personal style. When choosing your colors, a rule of thumb is to choose two dominant colors and one accent color. Lighter cabinets and flooring typically look good with darker backsplash, and vice versa. Use these tips as a starting point to design your dream kitchen. There are few design styles as exotic and rich as the Bohemian style, bringing a taste of distant lands home. Inspired by an old-world feel, this style is known for being eclectic. Bohemian homes are a patchwork collection of different objects, colors and patterns that work together to tell a story of a different time period in a different place. Pulling this off sounds like a tall order. Bohemian interiors carry with them a whisper of the oriental. 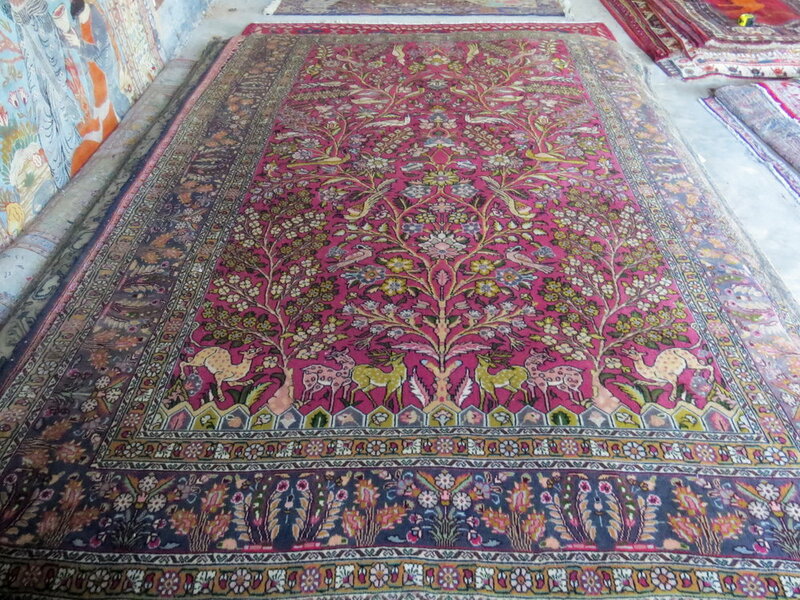 Add some intricate pattern to capture this style, reminiscent of Persian rugs. Patterns could be used on an area rug, or even wallpaper on an accent wall. The Bohemian style has no room for minimalism. It’s all about displaying the objects you own to tell a story. Don’t overdo it, though. Each piece on display should have a purpose other than just taking up space. The Bohemian style is all about eclecticism — style that comes from a variety of sources. The variety of textures that work in a Bohemian space is limitless. 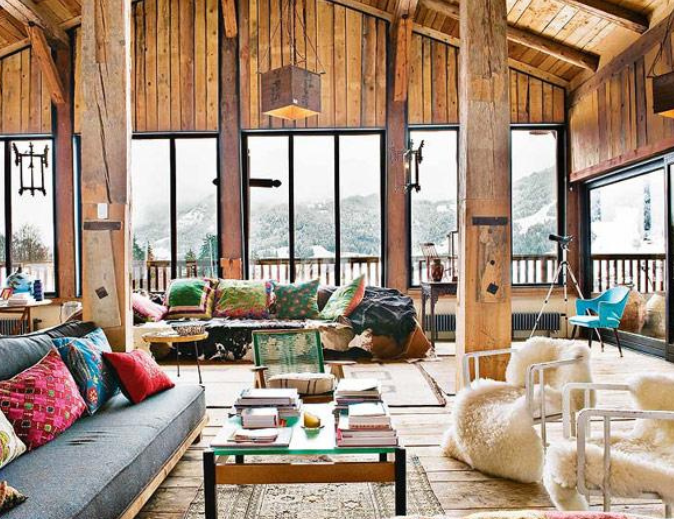 Rustic wood, fur, leather and metallic pieces are all good choices. Photo: The gold metallic accents in this vignette would work well in a Bohemian interior. Photo by Michaela Satterfield. Vibrant colors are one of the trademarks of this style. Be sure to incorporate colors like peacock blue, burnt orange, topaz yellow and deep magenta. Use neutrals as a backdrop to make the colors pop. White is a great choice. Capture the eclectic Bohemian interior design style in your home with these simple tips. Warmer weather has finally arrived, and the flowers and green leaves are on their way too. With all the spring cleaning that’s going on, you may want to update your décor as well. There are plenty of easy ways to bring spring inside. Bright hues or soft pastels are both great ways to do this. You’ll also want to add floral prints, faux plants and geodes. Artwork, fabric, throw pillows and accessories can all be used to incorporate spring patterns and colors. Businessmen have their due diligence and soldiers have their 15 minutes prior to 15 minutes prior. Like most fields, interior designers have their own jargon — terms that may not be commonly known. Knowing these phrases can make the difference between an expert and an amateur. When communicating with designers, it can be helpful to know what those terms are. This saves valuable time in the design process and aids designers in bringing your ideas to life. Design that caters to every individual, regardless of age or ability. The companies that supply the furniture and other items available for purchase. An annual or semiannual event that hosts various vendors. Some are open to the public, but many are only open “to the trade”, meaning only licensed interior designers can attend them. 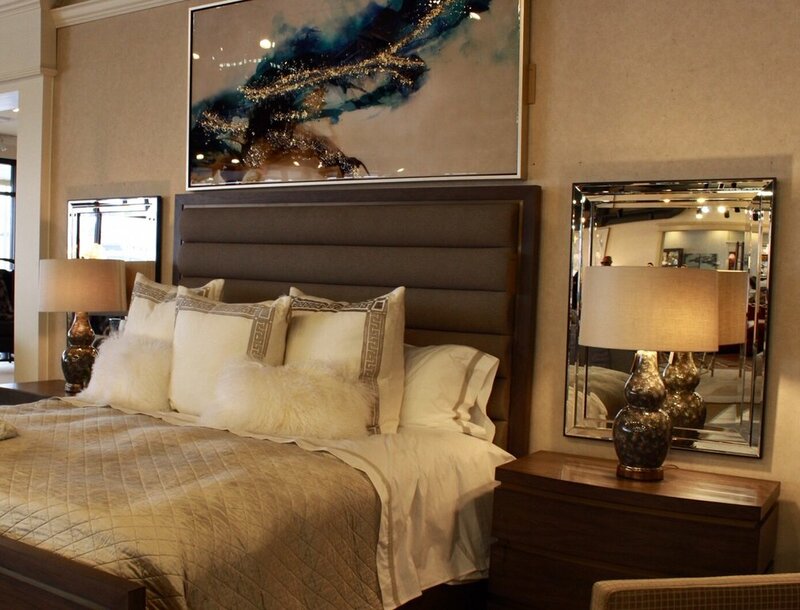 At markets, designers purchase furniture for their showrooms and clients. Customer’s own material. 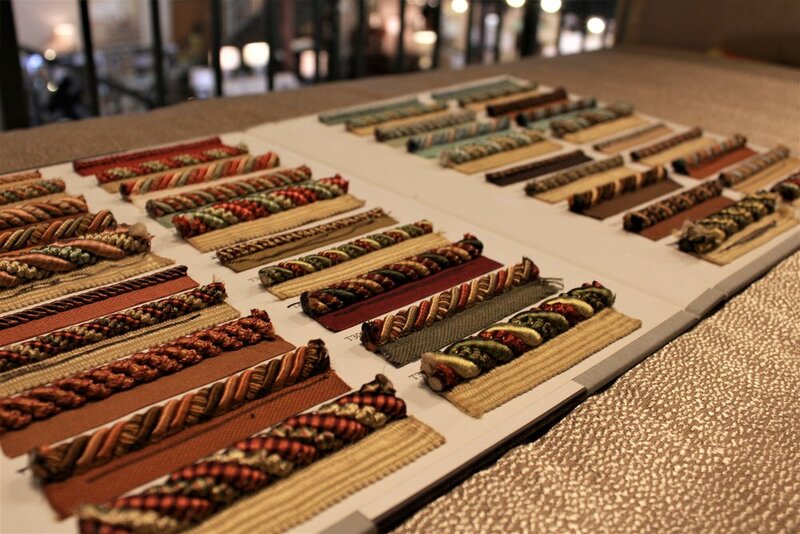 A piece of furniture can essentially be ordered from a vendor in any fabric, even if the vendor does not carry it. When a customer supplies the fabric, it is referred to as COM. Non-upholstered furniture that can typically store items, like bookcases or desks. It can also refer to tables and chairs. A light fixture. In the design world, lamp is a technical term for light bulb. What is commonly referred to as a lamp is referred to as a luminaire by interior designers. What may be commonly referred to as a couch is always referred to as a sofa in the interior design world. Also called accents. This includes sculptures, plants, throw blankets and other extra décor used to tie things together. Design of businesses, schools, offices and other commercial buildings. Now that you know the lingo, communicating with your interior designer will be a breeze. Sometimes, design inspiration comes easily. The perfect piece pops out of nowhere. The right style for a space just falls into place. Other times? Not so much. Inspiration doesn’t always strike, and sometimes design requires a lot of thinking. When ideas aren’t flowing, there are plenty of ways to get through the designers’ block. One of my favorite ways to do this is to flip through design magazines. Filled with beautiful photography, handy tips and clever articles, interior design magazines never cease to spark bright ideas. 417 Home is a magazine based in Springfield, Missouri. It releases four issues every year. The magazine includes home spotlights, event information and plenty of design inspiration. To keep up with local design, this magazine is a must-read. The name says it all. This magazine is one of the leading interior design publications. It’s been around for 80 years, so it knows what it’s talking about. Check it out for design inspiration from all over the globe. This internationally published magazine is also on top in the world of interior design. Published monthly, it offers design from all over the world. Read about travel destinations and products, as well. This magazine is a part of the well-known newspaper, the Kansas City Star. It offers design advice from designers and lots of local inspiration. As a bonus, it has a food section. Geared towards those who enjoy waterfront living, this magazine is brimming with plenty of coastal design tips and inspiration. You’ll also find travel advice mixed in. Plan your dream home and dream vacation all at once. These five magazines are sure to get the design ideas flowing. Go read and be inspired— all from the comfort of your sofa. With spring around the corner and spring break vacationers taking off, I can’t help but be drawn to all things tropical right now. Palm trees, ocean waves, and bright sunshine are beckoning. Bring a taste of vacation into your home with some tropical décor. When it comes to tropical rainforests or beaches, everything is vibrant—the plants, the wildlife, the scenery. Using bright, bold patterns is a great way to capture this in your home. Try a fun pattern on a throw pillow, or even an accent chair. 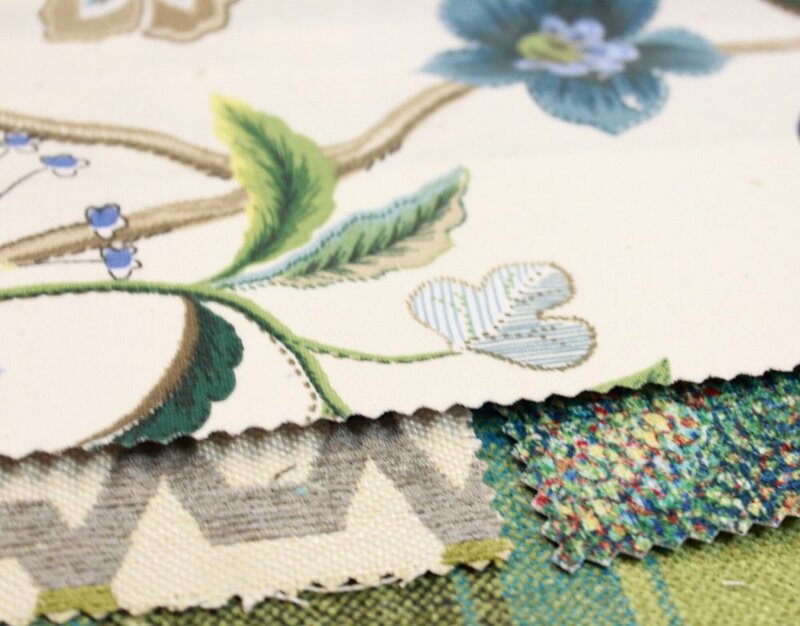 Kravet, one of our trusted fabric lines, offers plenty to choose from. There’s nothing like the tantalizing aqua of the ocean or the rich emerald of a palm leaf. Tropical flowers blossom in every hue, too—fiery orange, majestic purple and golden yellow. Bringing the tropical into your home requires plenty of bright colors. There are endless ways to incorporate bright colors into your décor, from artwork to paint colors. Wallpaper went out of style for a few years, but now it’s back and better than ever. Wallpaper is great for an accent wall or anything you really want to pop. It’s also one way to add some tropical flare to your home, with endless patterns available. Our line Thibaut is one of our favorites for tropical patterns and colors. There’s no easier way to bring the tropical to your interior than plenty of green plants. Plants add life and vibrancy to any space. You could put your green thumb to work and try the real deal. Not into all the upkeep? Our line John-Richard offers plenty of realistic faux plants. Palm trees, sand and seashells provide a neutral backdrop for all the bright colors found in tropical settings. Adding some earthy texture will provide a solid foundation to make all the other colors and patterns pop. 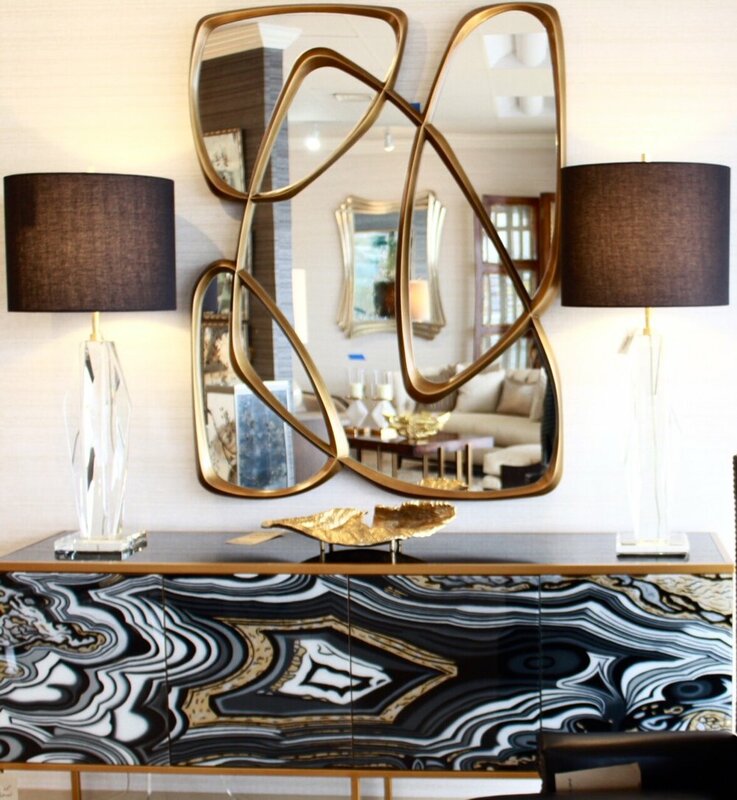 Our line Uttermost offers all kinds of furniture pieces that can do the job, like the table pictured below. Follow our tips to add tropical décor to your home, and every day will be a staycation. March is finally here— and that means spring is only a few weeks away! We’re in the home stretch. The gloomy days of winter will soon be behind us. The “City Spire” table lamp from John-Richard may be transparent, but that doesn’t stop it from making a statement. 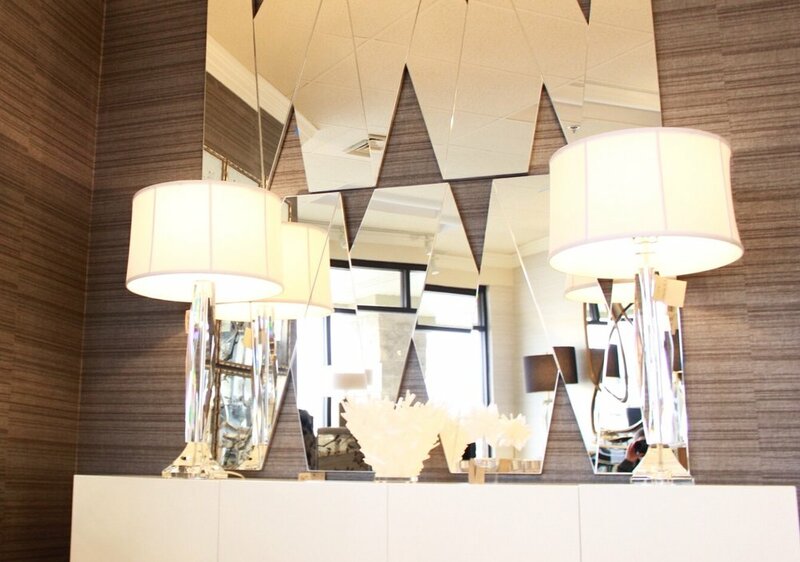 Paired with mirrors and plenty of white, this lamp makes a space bright and spacious. This John-Richard table lamp is a subtle way to add a modern touch to your home. Black and gold is a timeless color combination. The “Persimmon Gourd” lamp from John-Richard is a great way to add a pop of burnt orange. The toasty hue is reminiscent of the last rays of sunset in the African desert. 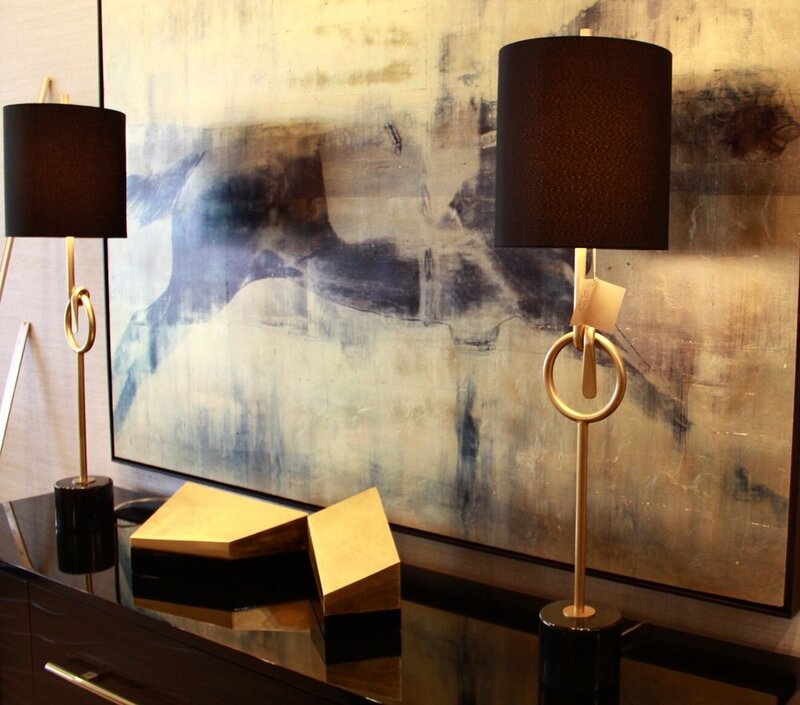 The “Golden Canyon” lamp from John-Richard is a unique mix of modern and classic. The modern form combines with classic gold to create an interesting piece that stands out from the rest. The “Castle Peak” table lamp is a glam piece that could be found in a castle. The crystal base adds texture, while the black shade keeps it grounded. The John-Richard “Candlestick” table lamp adds height to any space. The gold and silver combine beautifully. The mixed metals trend is currently taking the world by storm. 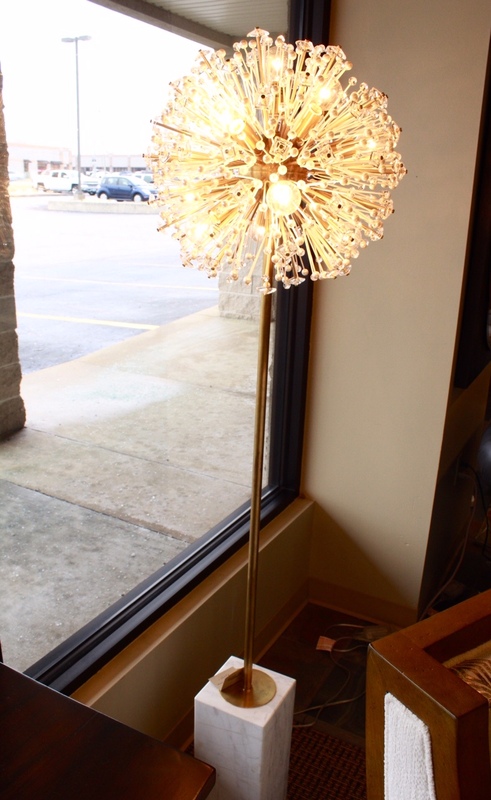 The “Dickinson” floor lamp from Kate Spade is a sure way to make an impression on anyone entering your home. The unique lamp is reminiscent of carefree childhood days. This Century table lamp is simple enough to fit with an array of styles, but bold enough to make a statement. Stay on trend with the geometric gold base and simple cream shade. The John-Richard “Morning Light” accent lamp provides interesting texture. The neutral color palette keeps it functional— it would look great in a variety of spaces. 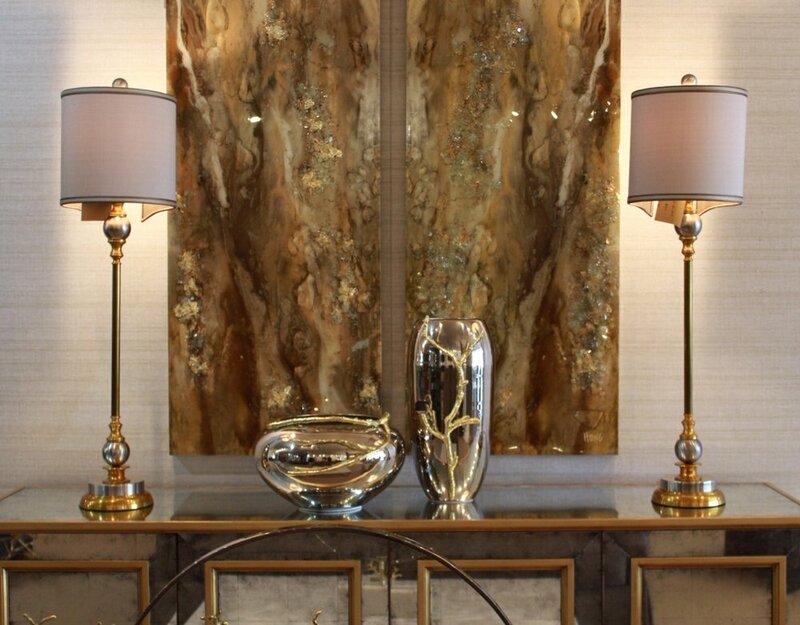 The “Marino Agate” lamp is a great way to add a calm, earthy touch to any space. From jewelry to décor, geodes are definitely in right now. 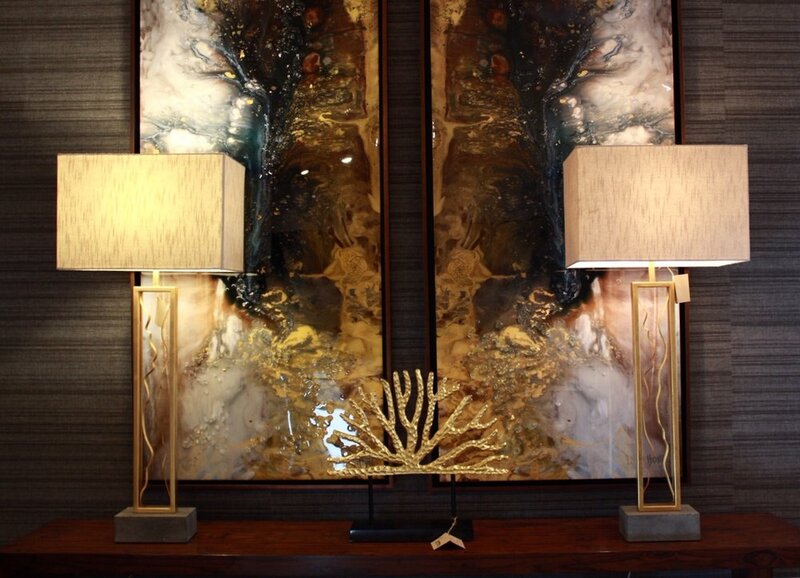 Last but not least, the artsy “Molten Mocha” lamp from John-Richard provides interesting texture to any space. This table lamp is a simple way to add an artistic touch. 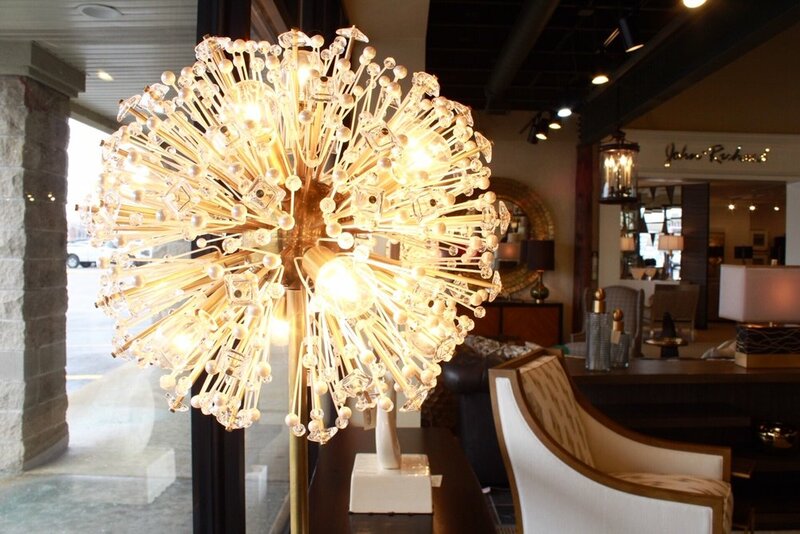 While we wait for sunnier days, light up your space with one of these beautiful luminaires from our showroom. Do you have trouble making decisions for your home? It can be difficult to choose a color swatch, a fabric or a sofa. If you’re like me, I tend to agonize over decisions—even the little ones. I mean, when it comes to picking things out for my home, I have to consider that I spend a lot of time there. What if I choose a rug that I think is hideous two days later and am forced to stare at it forevermore? That could be disastrous. Our environments impact us more than we realize, so it’s important to take care when designing them. As it turns out, there’s a science behind why some choices can be so difficult. All decisions contribute to this phenomenon—whether major life decisions or trivial decisions. Smith suggests simply going with your gut when making a decision. If nothing else, it gets you to make a move, rather than spending ages in analysis paralysis. She explains that making the wrong decision is better than doing nothing at all, because we won’t always be right all the time. Wrong decisions are necessary for growth. However, it is wise to spend time weighing all the options, especially for big decisions. Smith says it’s okay to sit on the fence, but you shouldn’t stay there forever. So, when you have to make those tough decisions about designing your home, the place where you will be spending much of your time, how can you get off the fence? Interior designer Jordan Edwards offers some tips for making design decisions on her blog. Before beginning, she suggests figuring out a few things about your space: the mood you’re going for, the purpose of the room and why you’re having trouble achieving those things with your design. Then, when designing, make sure you only choose pieces that fit with those things. If a piece doesn’t contribute to the mood you are going for or fit the purpose of the room, then it’s not for you. If it doesn’t help you achieve what you think is missing from the space, leave it out. Next, she says you should set a budget. She emphasizes that the budget should be realistic, so that you can actually achieve your goals. After that, have some fun! Create a mood board or look on Pinterest for some ideas. This will also help with figuring out exactly what you are wanting from your design. Her final tip is to only buy things you absolutely love. Don’t settle. It’s worth it to save a few extra dollars for that piece you really want. Otherwise, you might end up regretting it. Hopefully, these tips will help you make some decisions for your home. If you’re still having trouble, that’s where interior designers come in. When in doubt, let your designer take care of it all for you. They’re in the business to help you figure out exactly what your space needs and make it a reality. Choose a designer, and the rest of the decisions will take care of themselves. When working with an interior designer to design your home, it can be difficult to communicate exactly what you want. Designers love to take what you envision and use their expertise to make it a reality. They show you how to make your ideas functional, as well as beautiful. But what if you can’t express to them exactly what you’re visualizing? Never fear! There’s an app for that. 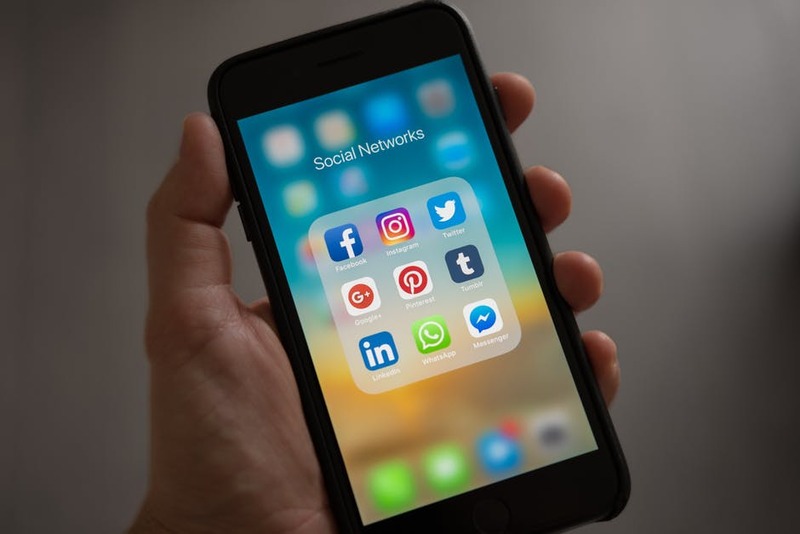 There are plenty of online resources right at your fingertips to help you capture your ideas and present them to your interior designer. It just takes a quick visit to the app store. Magicplan is a super easy way to create floor plans. Use it to brainstorm and plan out your dream house. You can even add furniture and make 3D models. It also features a handy material estimator to see how much it’ll all cost. The Board app, by Morpholio, is a great way to brainstorm color schemes and ideas for a room. You can add pictures, furniture pieces and color swatches to a collage to get a good idea of the look or feel you are going for. Homestyler is another great app to easily design floor plans. You can make 3D visualizations to better show how you would like a room designed. This app is user-friendly and makes designing a breeze. The Color Capture app, by Benjamin Moore, is a super helpful tool. Is the color of that sweater you just found exactly the color you’ve been envisioning to paint your walls? Take a picture of it, and the app will match it with a paint color. Make the color scheme you’ve been dreaming of a design reality. Paper, by Fifty Three, is a sketching app that makes capturing your ideas while on the go easy. Scribble a design concept, or fully illustrate an elevation. The app also has tools for making presentations. Never let another idea slip your mind—get it on paper quickly with the Paper app. With these handy tools, your dream home is just a few taps away.